MEXICO CITY (AP) — Fuel thieves in Mexico have grown so bold they are drilling illegal taps under warehouses in big cities and siphoning off the entire contents of pipelines, Mexico’s president said Wednesday. President Andres Manuel Lopez Obrador said that at one pipeline carrying gasoline, thieves didn’t just skim off part of the flow — they drilled so many taps they siphoned away all the fuel in the duct. “There was no pressure. They siphoned off all the fuel, because the pipeline is a sieve. They have installed devices along the length of the duct to steal the fuel,” Lopez Obrador said. The country has deployed 3,200 marines to guard pipelines and refineries, and one marine patrol scared off a gang that actually tried to break into a facility of the state-owned Pemex oil company to milk an illegal tap on a duct there. The thieves ran off when the marines arrived, illustrating one huge problem with the offensive: Relatively few people are being arrested or jailed for the thefts. Authorities said Wednesday they have 1,700 open case files on the thefts, but would not say how many arrest have been made. Lopez Obrador said thieves also have drilled into a pipeline in Mexico City, apparently from a warehouse built illegally over a pipeline right of way. “This is what we’re facing, the reason it is so hard to detect where there is a leak, where the illegal fuel tap is,” said Lopez Obrador, who launched an offensive against the $3 billion per-year fuel theft industry after taking office Dec. 1. Thieves drilled about 12,581 illegal taps in the first 10 months of 2018. The new administration has shut down pipelines to detect and deter illegal taps, relying more on delivering fuel by tanker truck. But there aren’t enough trucks, and long lines continued Wednesday at gas stations in several states. To help, the government is acquiring 500 more tanker trucks to carry gasoline and diesel while pipelines are shut down and officials are arranging with private railroads to transport fuel, the president said. Lopez Obrador said that next week he will personally visit towns located along a key pipeline as part of an effort to persuade residents against taking part in fuel thefts. Despite the huge inconvenience of having to line up at gas stations, the political cost of the offensive has not been as high as expected. Many Mexicans say they understand the need to fight the gangs. “The response of the people has been extraordinary, a hug to all of you, because no government could take on thie brazen theft alone … only with the people, only with the public,” Lopez Obrador said. The administration got unexpected support Wednesday from the governors of several of the states most severely affected by fuel shortages. The governors of Mexico State and the states of Jalisco, Michoacan, Guanajuato and Queretaro met with the interior secretary to talk about the fuel shortages, which have now lasted about 10 days. “I think we have all joined in this fight to help the president in this battle,” Guanajuato Gov. Diego Sinhue Rodriguez said. But the economic costs are mounting, because people can’t get to work or deliver merchandise due to fuel shortages. 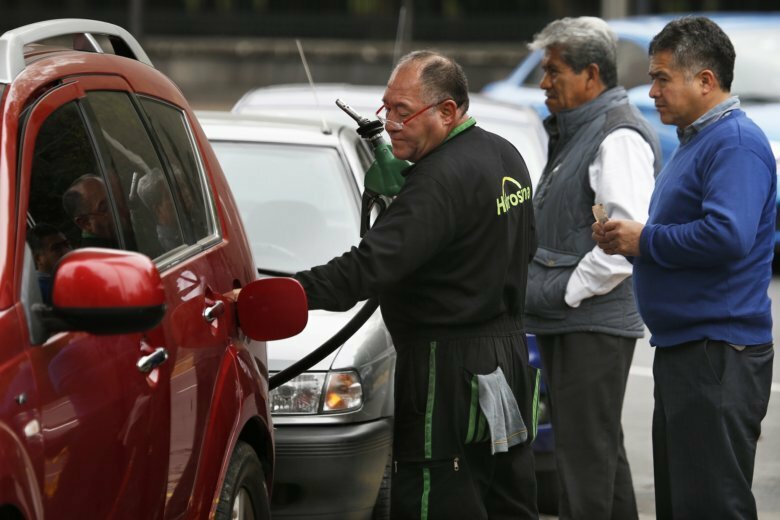 The CitiBanamex bank said in a research report that even if fuel supplies normalize soon and some recovery occurs, economic losses associated with the shortages will probably wind up around $1.2 billion, or 0.1 percent of the country’s GDP.